How can you quickly and easily transform a chipped, gapped, misshapen, or discolored smile? You can do it with a popular cosmetic dentistry service called porcelain veneers. Using thin pieces of tooth-shaped porcelain, Dr. Ruff and the team at Ascot Aesthetic Implants & Dentistry can help you hide flaws and enjoy a new, natural-looking smile. That’s because porcelain looks almost identical to natural enamel. What’s more, the size, shape, and color of your porcelain veneers can be customized, leading to remarkable results. Here’s what you can expect from the treatment process. First, Dr. Ruff will look at your teeth and talk to you about the goals you have for your smile. Then, when she’s completed an oral exam and talked with you, she can begin designing your veneers. Our lab will carefully fabricate your veneers from thin pieces of high-quality porcelain. In between appointments you’ll wear a set of temporary veneers. When your finished veneers are ready, you’ll come back to our Fayetteville dental office to have your temporary veneers removed and new permanent ones put in place. 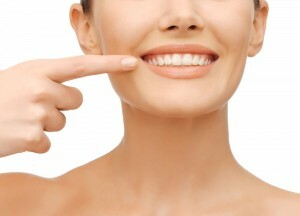 Are porcelain veneers right for you? Dr. Ruff would be happy to answer that question during a consultation at Ascot Aesthetic Implants & Dentistry. Call us today to schedule an appointment. We happily offer cosmetic care to patients from Spring Lake and all of Cumberland County.